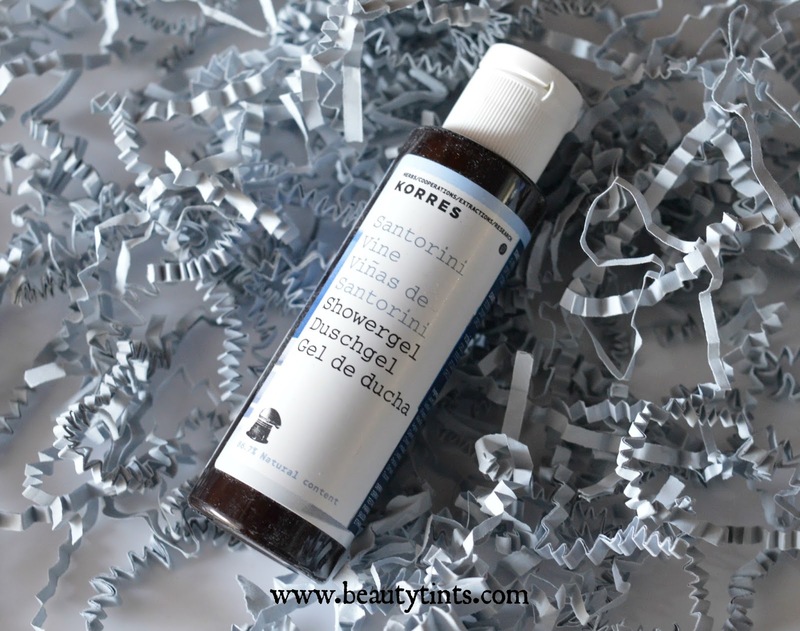 Sriz Beauty Blog: Look Fantastic Beauty Box March 2016 Edition #LFEXPLORER Review!!! 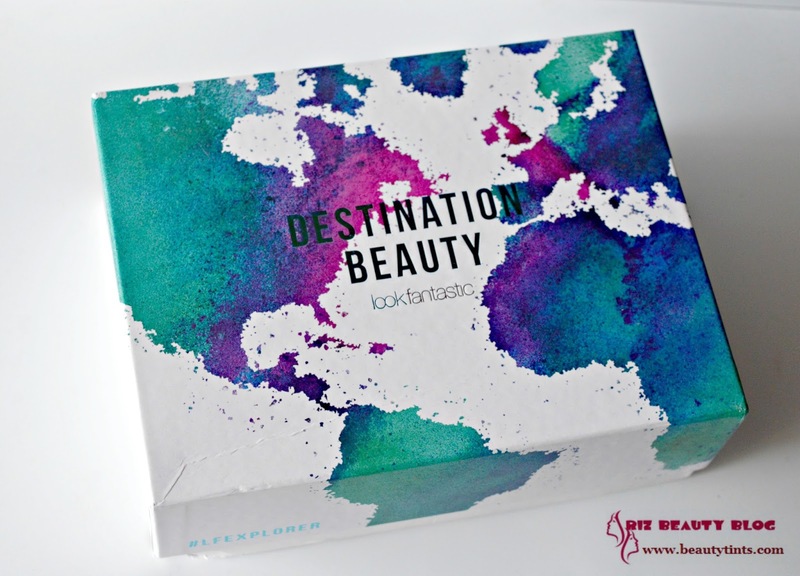 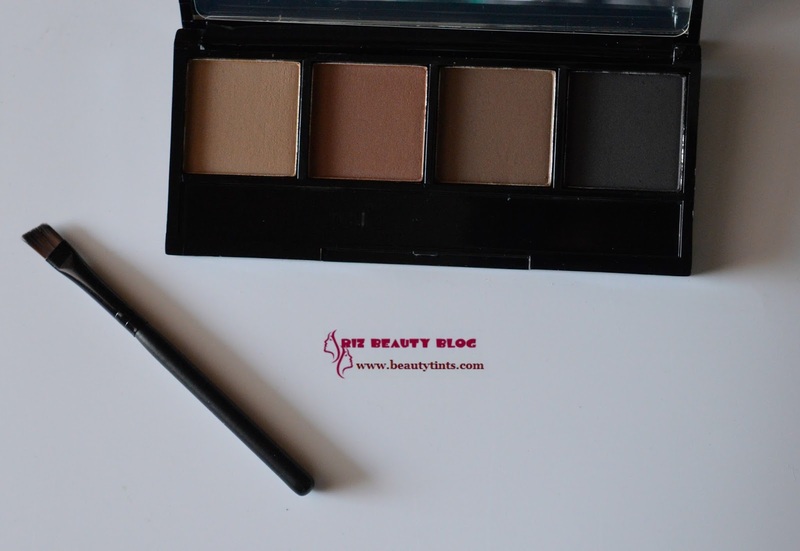 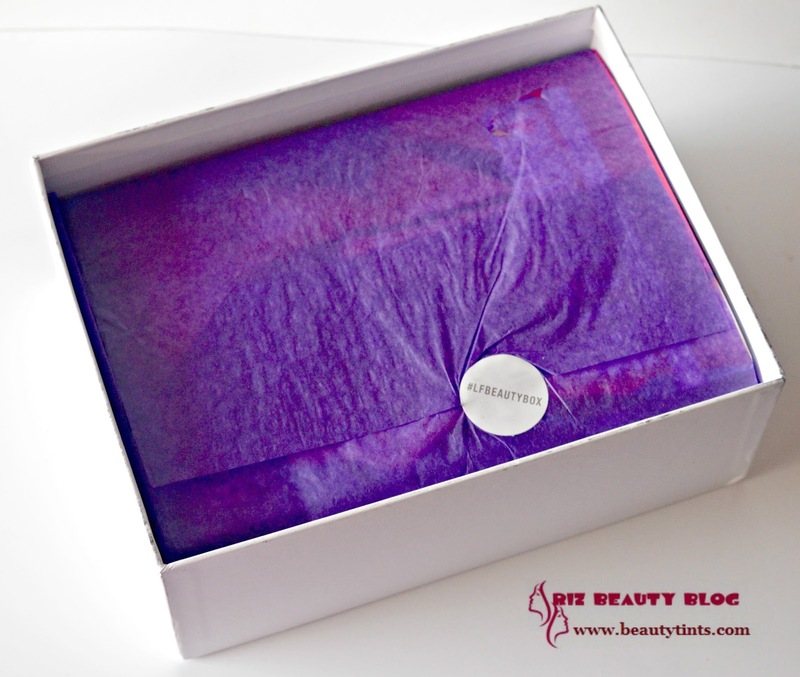 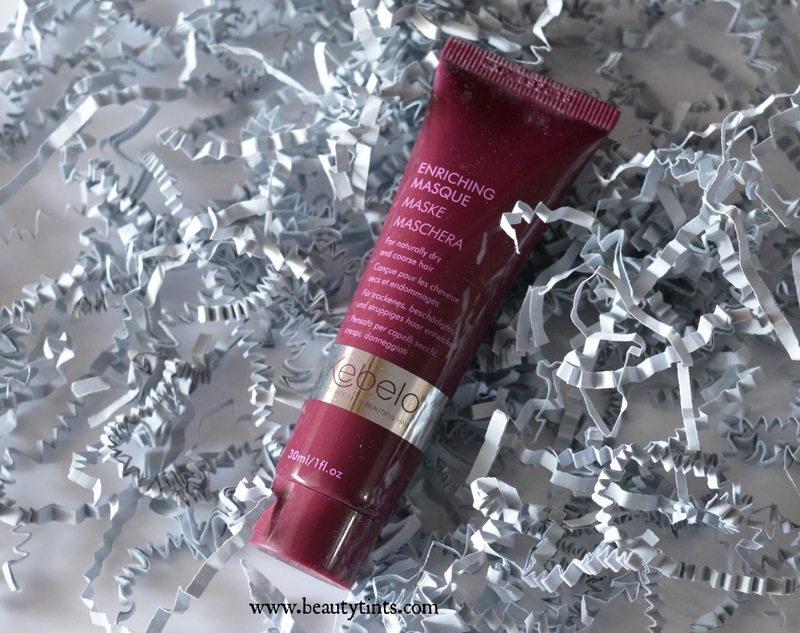 Look Fantastic Beauty Box March 2016 Edition #LFEXPLORER Review!!! If you are following me on Instagram or Snapchat( Sriramani7),you would have already seen a sneak peak of the Look Fantastic Beauty Box March 2016 Edition #LFBOX , which I received yesterday.This time the theme is all about Adventure & Destination Beauty,where we get products from around the world!!! This time the box is so colorful with world map print on it and co incidentally it matched to our Holi theme this month!!! 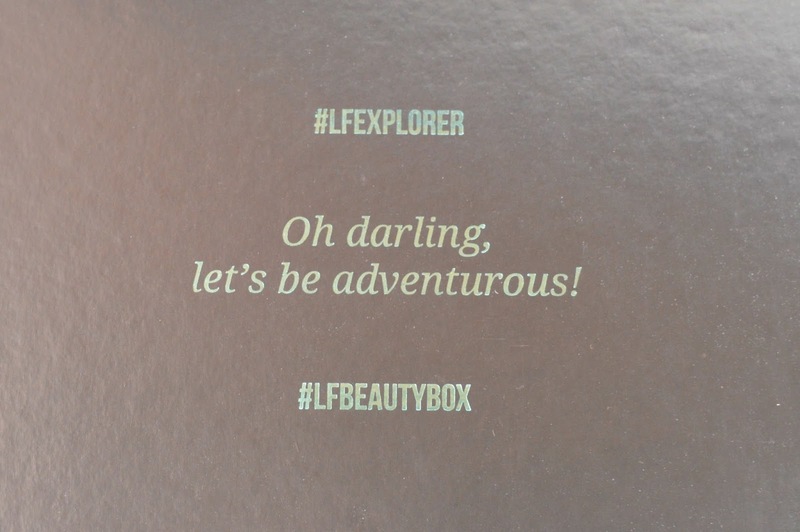 The inside of the house has a quote saying #LFEXPLORER Oh darling,let's be adventurous! 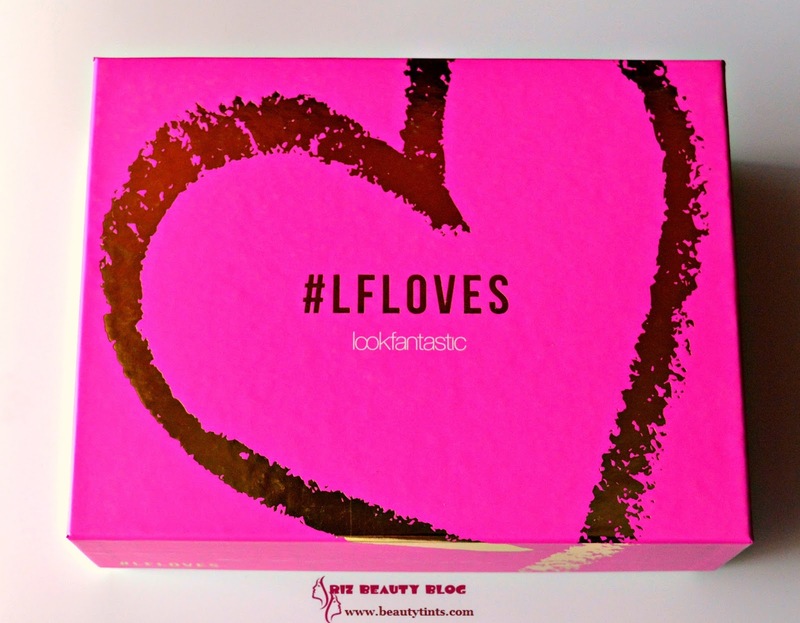 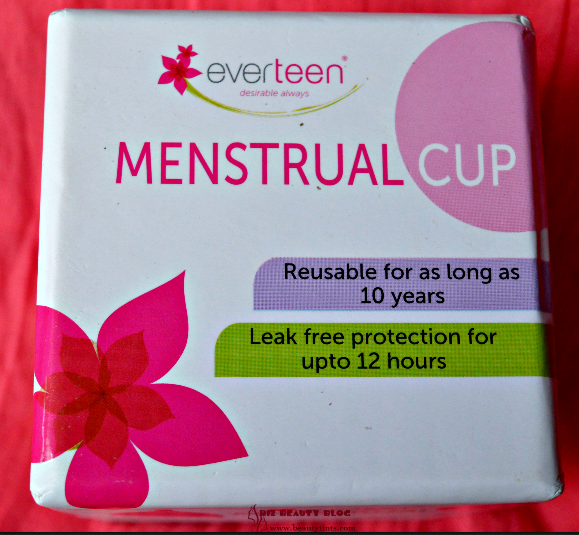 to go along with the theme #LFBEAUTYBOX! 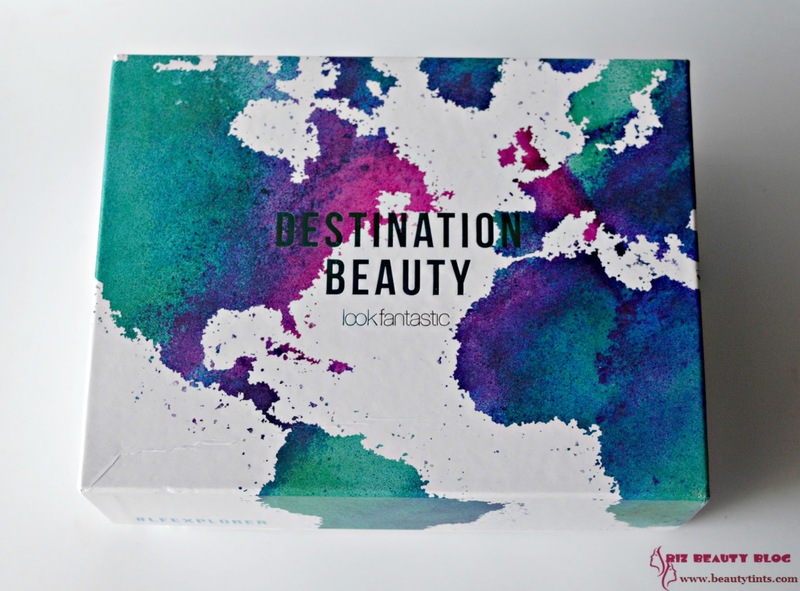 About Look Fantastic Beauty Box : Lookfantastic.com is the original online British beauty boutique. The ultimate Hub for hair, beauty and all things gorgeous, lookfantastic.com offers over 14,000 products from more than 400 brands across hair, make up, skin care, nails, electrical, fragrance, health, home and organic.And they have a wonderful Beauty Subscription Box called Look Fantastic Beauty Box,which is similar to our subscription boxes. 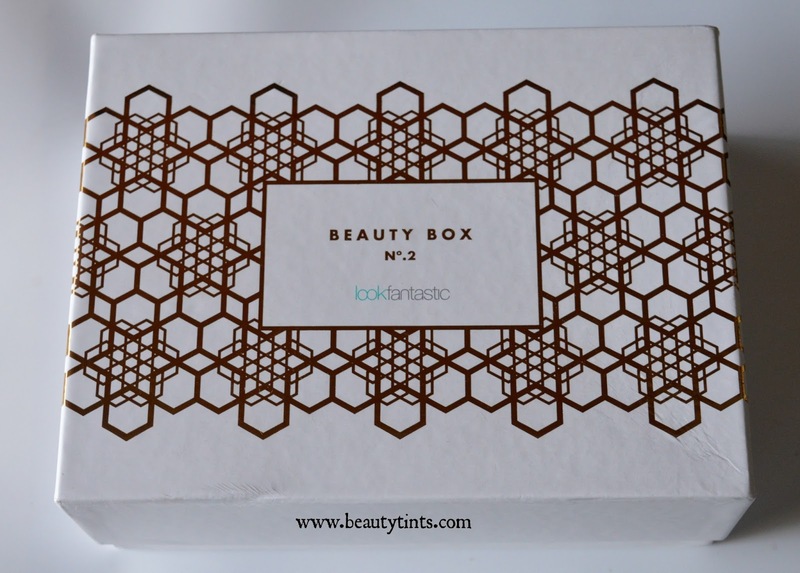 It contains hand-picked selection of must have beauty fixes, which are wrapped in a beautifully presented box and delivered straight to our door.The contents of the box will remain a secret until you receive it, however it will always include a minimum of six products. 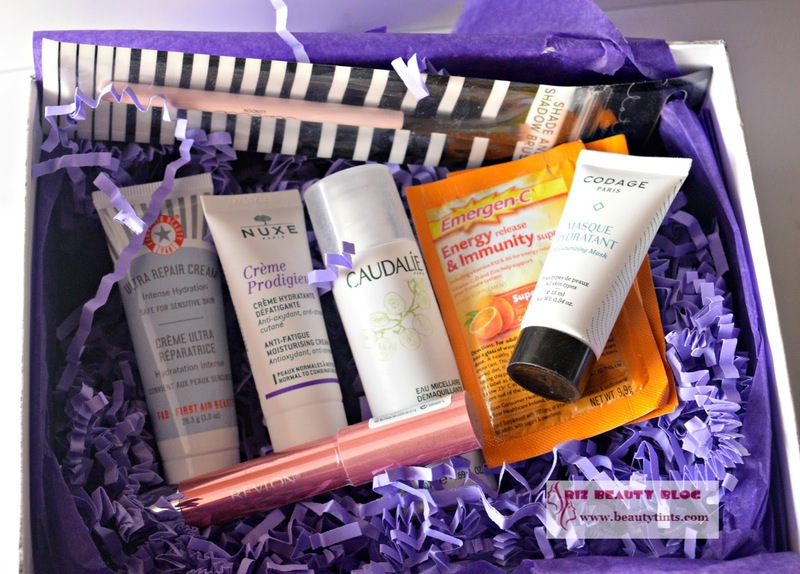 An assortment of skin, hair, cosmetic and body products will be on offer; catering to every kind of beauty lover.And it is priced at £15.00/Month.The Amazing thing about them is they offer World Wide Free Shipping!!! 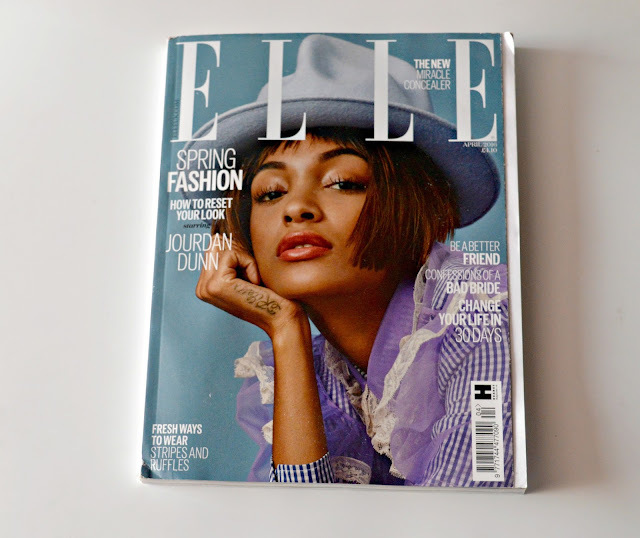 Like February Edition,this month box also contains an ELLE Magazine!!! 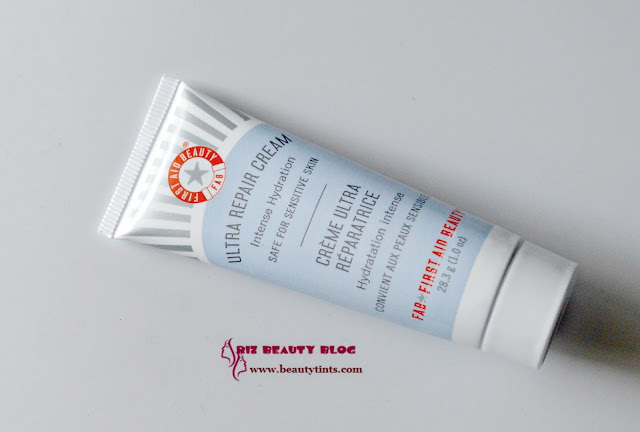 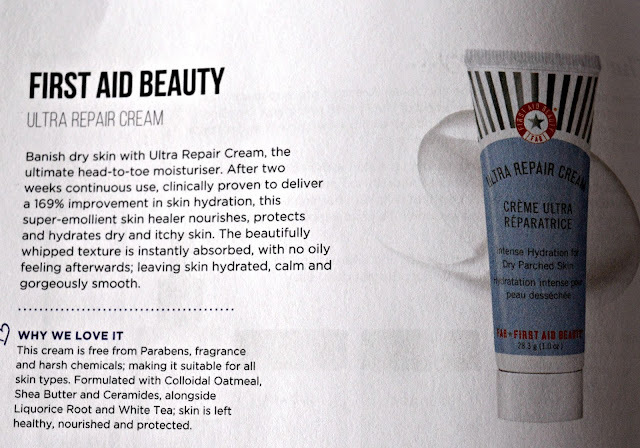 1) First Aid Beauty Ultra Repairing Cream : This is a decent sized sample product of 28.3 gm.I have heard a lot about the First Aid Beauty products and I am happy that I got a chance to try it.This is an intense hydration cream,which is good for dry skin people especially in winters.I have combination skin and that too summers have already arrived so I will save it for cooler months...or will use it for body as it can be used from head to toe!It is priced at $ 6.50 for 28.3 gm. 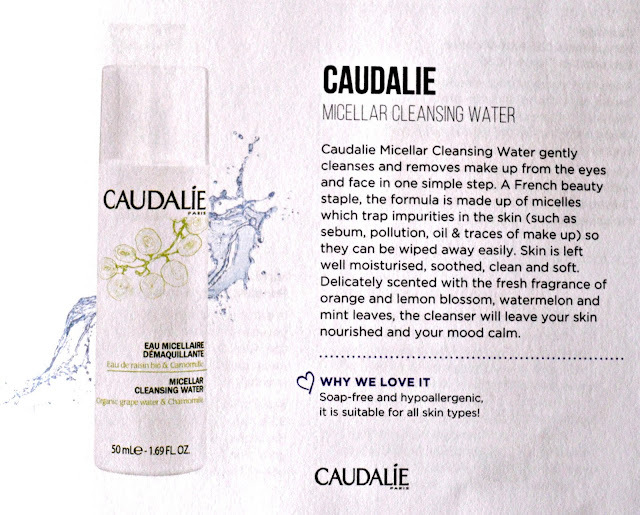 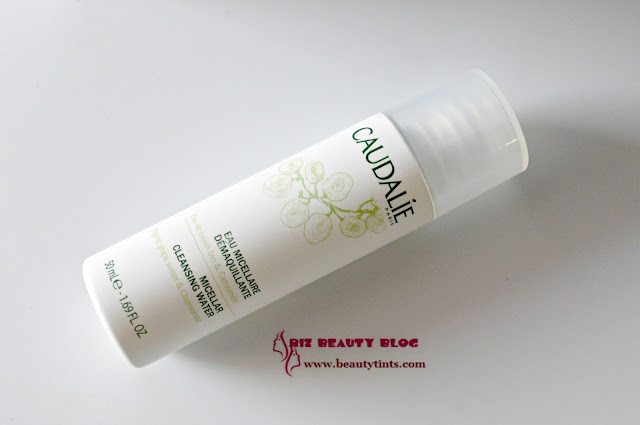 2) Caudalie Micellar Cleansing Water : This is my favorite product from the box.I love the concept of micellar water, made up of micelles,which trap & remove all impurities & makeup.This caudalie cleansing water contains grape water and chamomile.This is a 50 ml sample which is priced at £ 4.5. 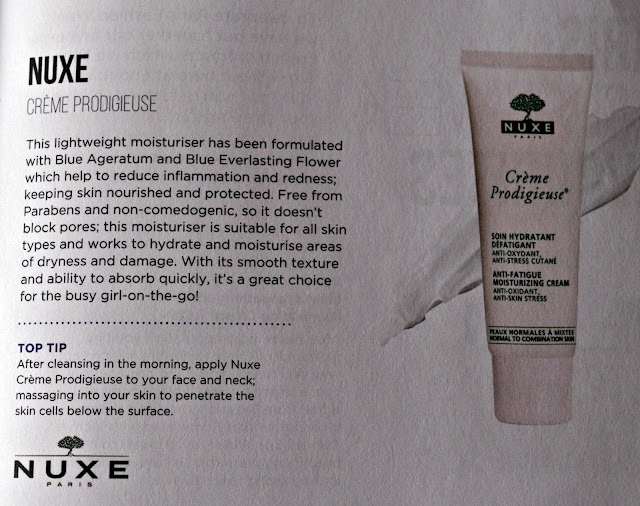 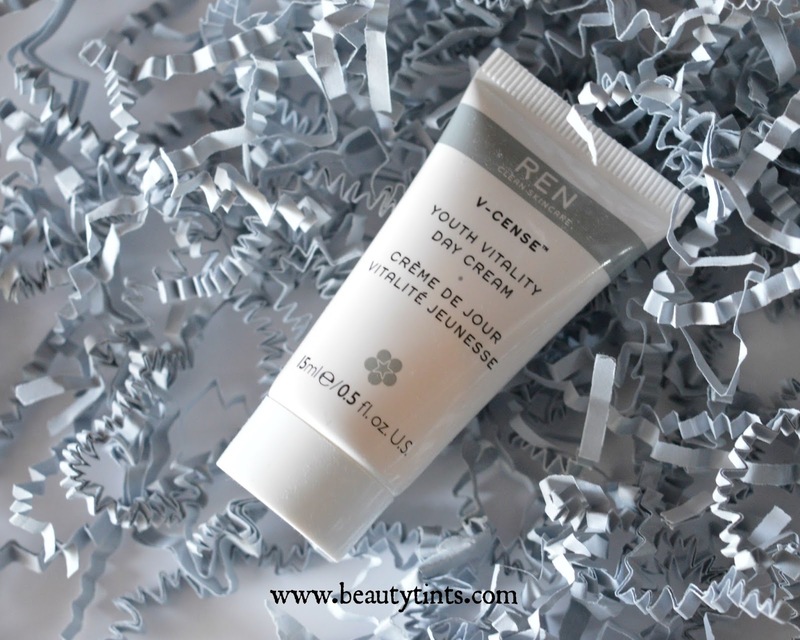 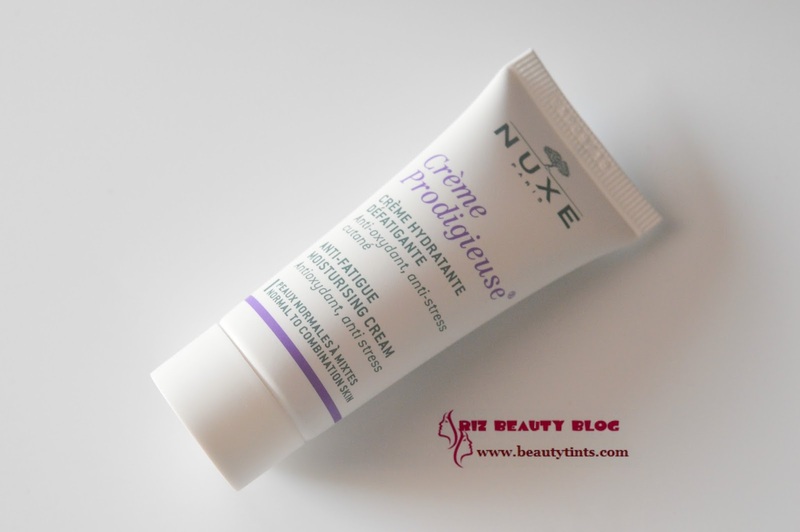 3) Nuxe Anti-Fatigue Moisturizing Cream : This is a 15 ml sample.this is a very light weight cream which absorbs instantly into the skin.I used it today and it is non greasy and good for summers.It has a very pleasant fragrance.It is priced at £ 21 for 40 ml. 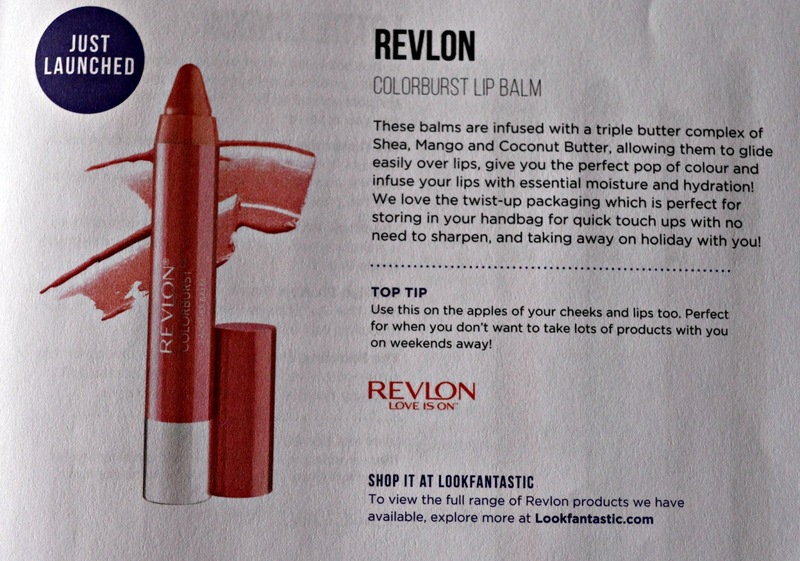 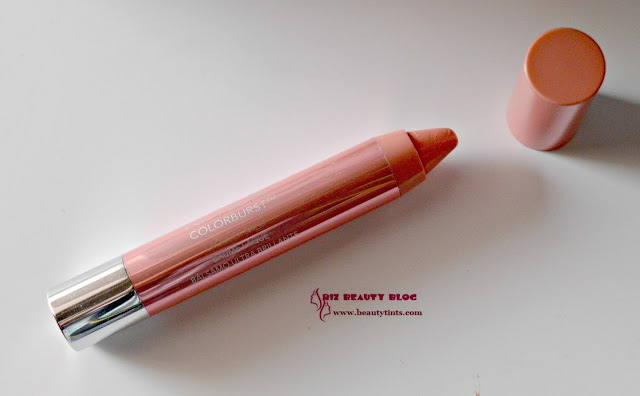 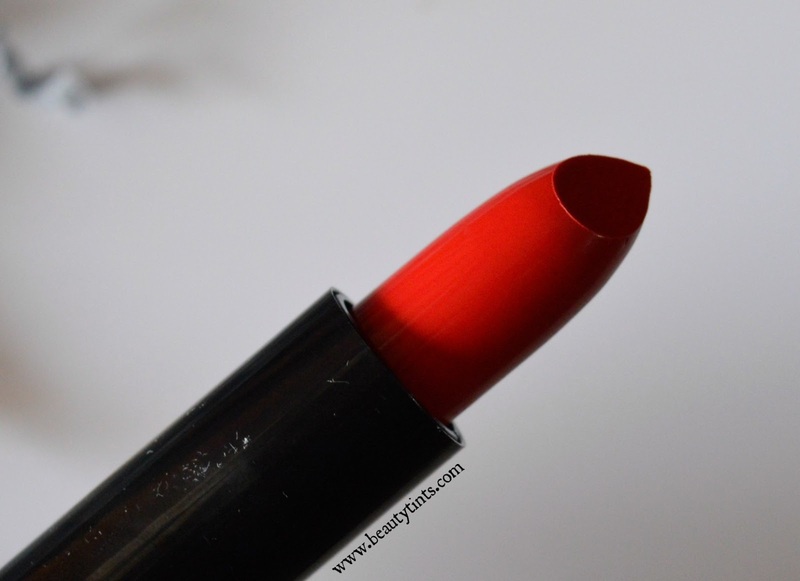 5) Revlon Color Burst Lacquer Balm : This is the first full sized product in this box and I got the shade 105 Demur.These are launched sometime back in India but not sure if this shade is available here or not! 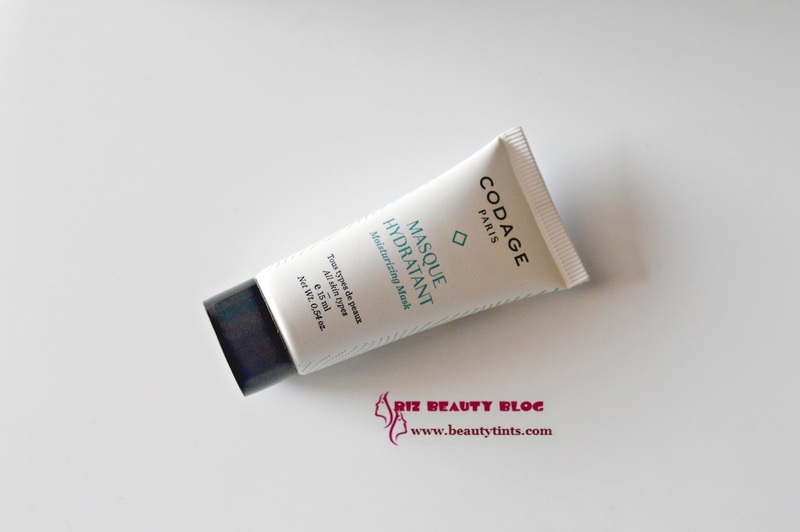 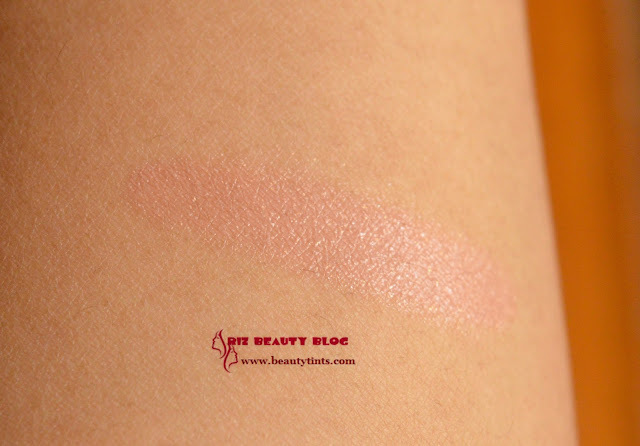 This is a pale pink colored balm with high shine.Sadly it gave me a washed out look.I may use it as a lip gloss over my lipstick,but it is very hydrating and glossy. 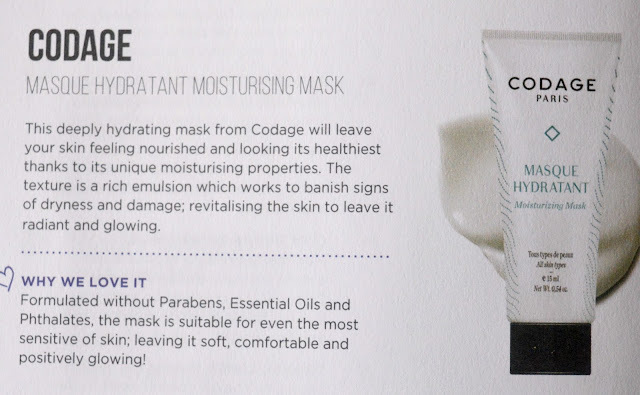 This is priced at £ 8. 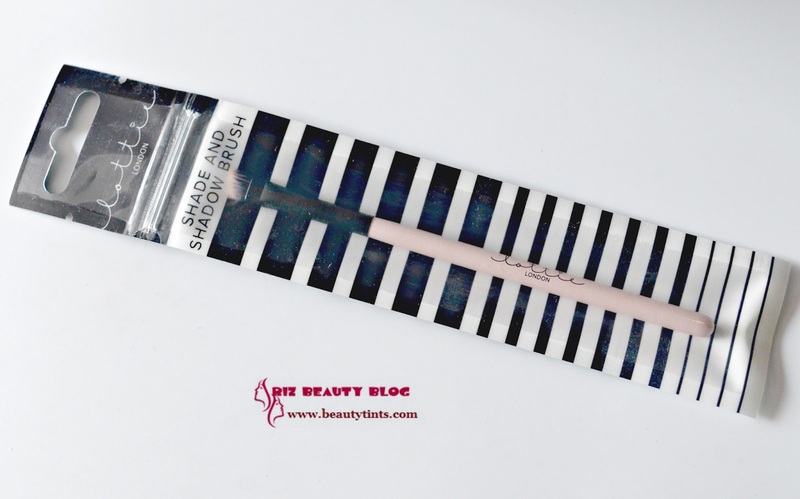 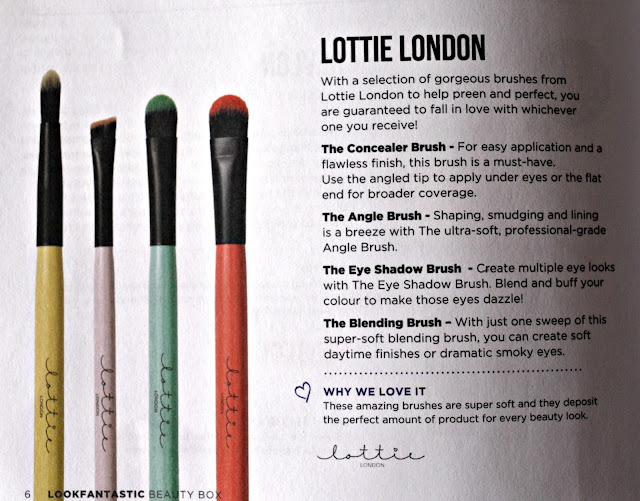 6) Lottie London Eye Shadow Brush : This time they gave one more full sized product and there are 4 types of brushes this time and I got the eye shadow brush which is very pretty with baby pink color.I haven't opened it yet but will review it soon.This is priced at £ 5! 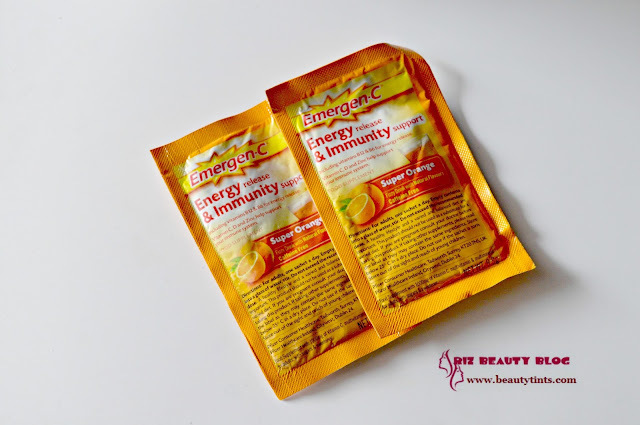 So,this time along with the six wonderful products,they also gave Emergence -C Energy Release & Immunity Support Super Orange Fizzy Drink sachets,which needs to be mixed in water and then consumed.I am excited to try this as they are rich in Vitamin C! So,these are the lovely products which I received in this March Edition on Look Fantastic Box!!! 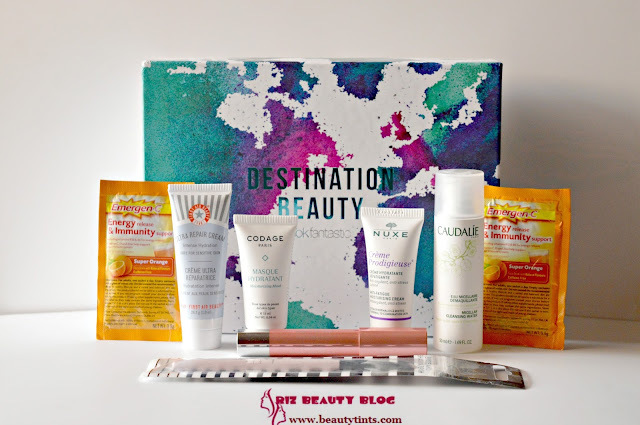 Conclusion : Overall,this month's Look Fantastic Beauty Box is a big hit for me as I got to try many products from around the world.I am super excited to try all of them,especially Caudalie Micellar Cleansing water and Eye shadow Brush!!! 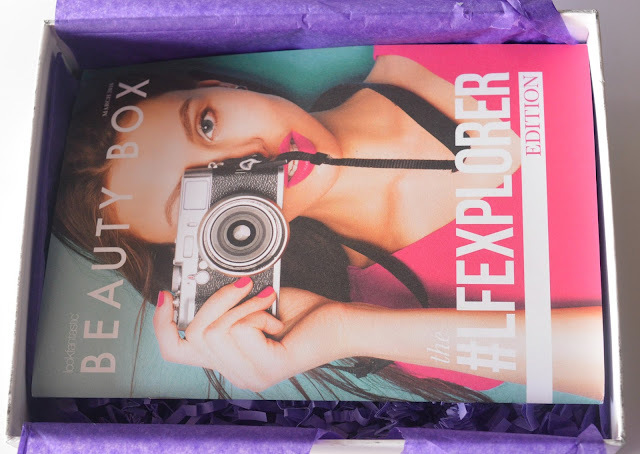 Labels: #LFBEAUTYBOX, #LFBOX, Look Fantastic Beauty Box March 2016 Edition #LFEXPLORER Review, look fantastic march box.